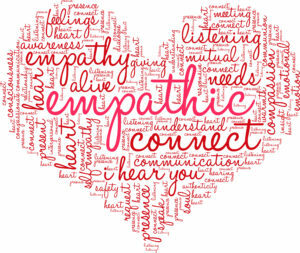 Empathy is the ability to recognize and understand the feelings of others and showing that you care with supportive and compassionate words and/or actions. Empathy is taking the perspective of others and respecting their opinions or points of view. Copyright © 2019 Empathy 4 Kids. All rights reserved.